After five films and four actors – Alec Baldwin, Harrison Ford, Ben Affleck, and Chris Pine – Tom Clancy’s fictional character is set to get an eponymous TV series on Amazon Prime Video later this week, with The Office and A Quiet Place star John Krasinski playing a modern-day version of the CIA analyst, whose first field assignment involves preventing a terrorist attack. Created by Lost showrunner Carlton Cuse and writer Graham Roland, the character has been updated from its Cold War-era literary origins, slotting him alongside the likes of James Bond, Jason Bourne, Jack Bauer, Ethan Hunt, and Carrie Mathison. From release date to cast, in addition to a brief review of season 1 and whether there will be a season 2, here’s everything we know about Jack Ryan. The Amazon series tells the story of its titular CIA desk jockey and former Marine (Krasinski), who gets pulled back into the field after his investigation into a series of bank transfers uncovers a rising terrorist threat. Ryan’s quest to put an end to it takes him to Europe and the Middle East. Alongside, Jack Ryan offers a backstory for its antagonist Mousa bin Suleiman (Ali Suliman), detailing the reasons for his hatred of the West, starting from his upbringing during the 1980s Israeli invasion of Lebanon to being radicalised in early-2000s France. There’s also a subplot involving a US drone pilot and his growing disillusionment with his job. In the process of making it timely, Cuse and Roland seemed to have read up on the biggest international news incidents when they were writing it, which would explain why several plot points feel ripped from the headlines. Season 1 includes a police raid in the Paris suburb of Saint-Denis and a terrorist attack in Paris, influenced by the real-life incidents from 2015, while the ongoing Syrian refugee crisis and the problems of those trying to get to Europe from Turkey are highlighted. At the same time, there’s no mention or reflection of the isolationist policies of the current US administration and its ex-reality TV star president and how has affected international diplomacy and counter-intelligence – which would be relevant to Jack Ryan – because the series was already in production before Trump came to power. We will see if that changes with future seasons. Jack Ryan is aware enough to present all sides of the story, leaving viewers to decide for themselves what they make of it. The first season is almost equally divided between Ryan and Suleiman, inviting us into two different worlds: one of a self-righteous lawman trying to stick to his morals, and the other of a man who’s been knocked around by society and places the blame at the feet of the US and its allies. The latter draws upon the disenfranchisement of foreign-origin youth living in Paris banlieues. The show also has a big emphasis on the struggles of Suleiman’s wife Hanin Abdullah (Dina Shibabi), as she grapples with the future of her three children in an increasingly hostile atmosphere, fearful for their safety due to the encroachment of radicalised ideas and individuals into her household. Shibabi’s character is the easiest to root for because her motivations are much more relatable, and the writing affords time and depth for her worries to percolate and be seen for what they are. Where Jack Ryan stumbles is with the love story between Ryan and his love interest Cathy Muller (Abbie Cornish), which seems almost perfunctory, as if the writers wanted him to have a personal life back home but also couldn’t be bothered to develop it. (In fact, the writers do a better job of handling Suleiman and Hanin’s marriage, for what it’s worth.) And despite its big-budgeted nature thanks to Amazon, the action – though fitting in scope – isn’t impressive or memorable enough. Jack Ryan is out August 31 on Amazon Prime Video in India and across the world. All eight episodes of the first season will be available on the same day. The Office alum Krasinski plays the title character, as we noted previously. Wendell Pierce, The Wire star whose most recent well-known appearance is in Suits, plays Ryan’s boss Jim Greer. Cornish, who has had lead roles in films such as Candy (2006) and Bright Star (2009), plays Cathy, a renowned epidemiologist and Ryan’s love interest. Suliman plays Suleiman, the leader of an Islamic terror outfit, while Shibabi plays his wife Hanin. Peter Fonda (Ulee’s Gold), Mena Massoud (Aladdin), Timothy Hutton (Ordinary People), and Al Sapienza (The Sopranos) have recurring roles. Jack Ryan has a diverse international supporting cast to match its various locations, drawing in actors of Lebanese, Syrian, Egyptian, Afghan, French, Canadian, Slavic, Chinese and Spanish origin. Four directors are behind the first season: The Imitation Game director Morten Tyldum helmed the pilot episode, and co-creator Cuse directed one, while TV veteran Daniel Sackheim (The Americans, House) and The 33 director Patricia Riggen are responsible for three apiece. Amazon has been marketing Jack Ryan since October last year, starting with a reveal that was followed by a teaser trailer at New York Comic-Con (the video has been pulled since). The first proper look came ahead of the 2018 NFL Super Bowl, along with the release date we now know of. Then in June, Amazon release a full-length trailer (below) that set the stage for the first season, possibly providing too much detail. What is the runtime for Jack Ryan? Of the six episodes given to members of the press, they run between 43 and 64 minutes in length. The pilot episode is the longest of the lot. Is Jack Ryan season 2 happening? Yes, indeed. Amazon was so confident of the series’ potential that it renewed the series for a second season back in April. 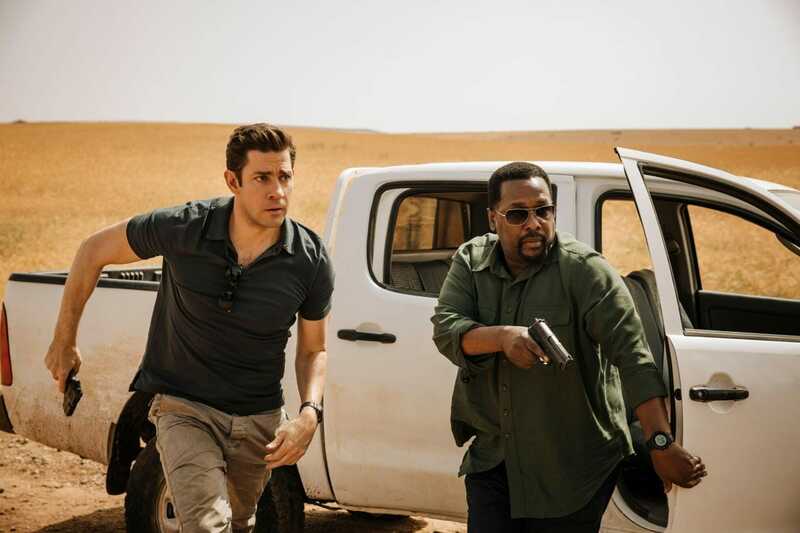 Jack Ryan will be taking a near-anthology approach to its storytelling – the first season is set in the Middle East, while the second takes place in South America, which means every season will likely be self-contained. The show will have to be careful to not fall into the age-old trope of a white man parachuting in and being an expert in local matters. While Jack Ryan begins by emphasising that Ryan is an expert in Yemeni affairs, which proceeds to justify his involvement in uncovering the Middle Eastern terrorist plot and kick starts the plot of the first season, how that will translate to his presence in South America, far from his area of supposed expertise, is a good question. Jack Ryan season 2 is already in production, with Noomi Rapace (The Girl with the Dragon Tattoo), Michael Kelly (House of Cards), Jovan Adepo (The Leftovers), Jordi Mollà, Cristina Umaña (Narcos), and Francisco Denis (Narcos) part of the cast. It is set to premiere in 2019. We enjoyed the first season. Can’t wait for the second season.